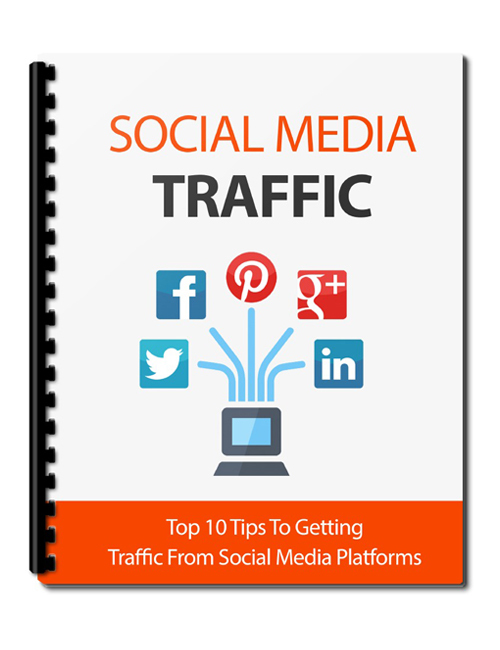 Social Media Traffic – Top 10 Tips To Getting Traffic From Social Media Platforms is the ebook that uncovers the proven strategies to drive quality traffic to your website in large masses from powerful social media platforms including Facebook, Twitter, and Pinterest. The more top niche traffic the better when it comes to establishing your visibility online. These top tips are going to give you the power to tap into the online traffic stream that’s going to increase your rank, boost credibility, strengthen your trust factor and boost conversions. That means you will be making more money because more of the visitors to your website are qualified buyers. It won’t take you long to manifest all the traffic you need from these powerful social media venues. Millions of people frequent these platforms and that’s great news for you. Use these expert tips to get your business established online and pump the traffic through. Everything you need to create credibility and strengthen your brand is inside. Social Media Traffic – Top 10 Tips To Getting Traffic From Social Media Platforms gives you the power to succeed quickly in business online.